We have been a family owned and operated business in Utah since 1950. Our facilities are located at 494 West 4800 South in Salt Lake City Utah. We are proud to have been furnishing and installing Aluminum Patio Covers to the intermountain west using the very best products and our own factory certified installers available. The products we carry have a lifetime warranty on all painted finishes and our installation comes with our own company service agreement. You can rest assured that you will be receiving the best products along with a company that stands behind its work. We offer a wide range of styles to compliment your home and lifestyle. 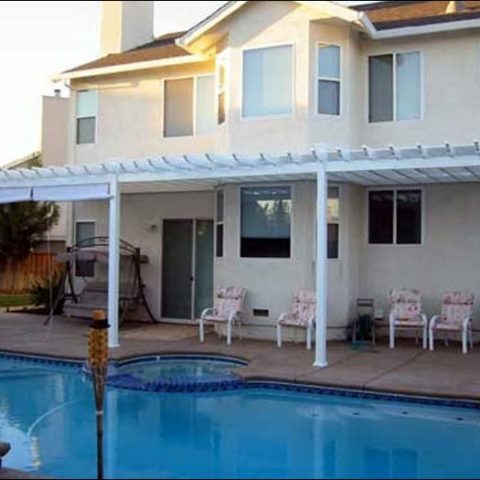 Products include patio covers, pergolas, screen rooms and insulated patio enclosures. We also offer these products for the do-it-yourself home owners. Please feel free to browse our website or visit our showroom for ideas and the different styles that we are able to offer our customers. We have been a family owned and operated business in Utah since 1950.